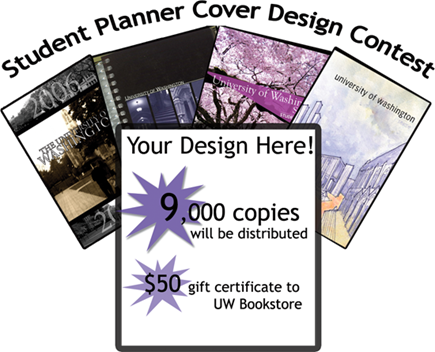 We are now collecting design submissions for UW 2013 student planner! The winner will have their design displayed on the cover of the planner and receive a $50 gift card to the University Book Store. Turn in your submission to First Year Programs, Mary Gates Hall, Room 120 NO LATER than March 22nd, 2013 at 5PM.